1. 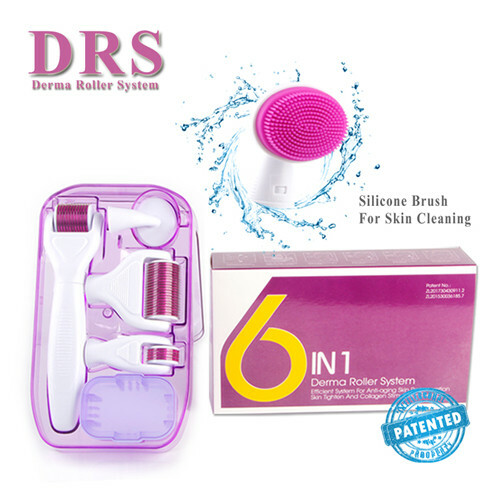 It has the proven ability to deliver the desired amount of active ingredients, just under the dermis, at a consistent depth, pain-free, and over a large surface area. This is a major advantage over the conventional syringe approach. 2. The surgical grade stainless steel provides the structural integrity of the micro-needle. Pure gold on the surface has high bio-compatibility with human skin, preventing irritation and allergic responses after use. 4. It can be depressed over 30 thousand times, without getting blunt. 6. OEM is available for just 1000 pieces, and Promote your own brand. 2. 20 pins derma stamp with titanium needle. or high functional aesthetics, a stem cell cosmetics, wrinkle frees, whitening, hyaluronic acid etc. 5. Needle material titanium, reuse design, tested by 30000 times of tapping. 7. Bottle mouth, add a sealing apron to prevent liquid leakage during use. Give instant and long-lasting effects! 6. Sterilize each time before and after use.